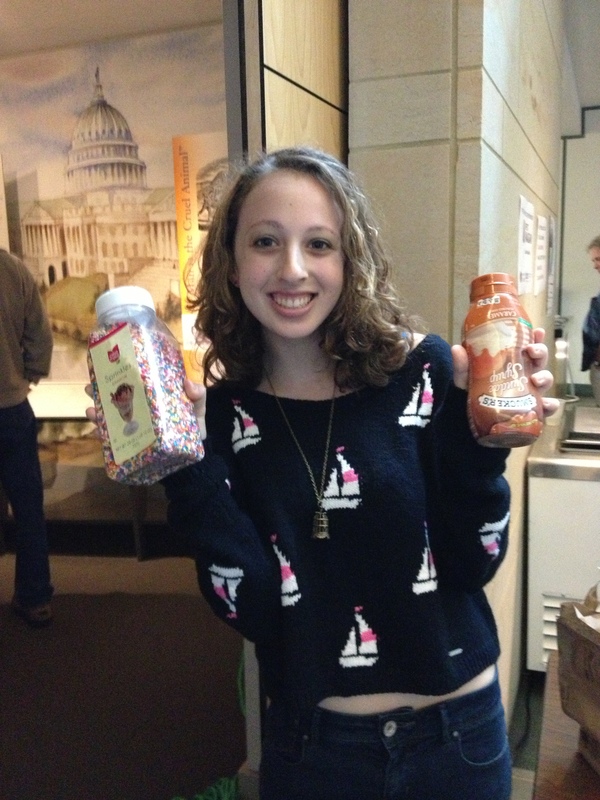 Here’s the Scoop: Ice Cream Social Is A Sweet Success | Write to the Point! This past Thursday may have been one of the coldest July 25ths in the history of the Greater Hartford area, but that didn’t stop people of all ages from enjoying The Mark Twain House’s fifth annual ice cream social. The rain pushed the gathering inside, but this didn’t cause too many problems for the event’s organizers or patrons. This is the third time the event has been held inside. The tradition began in the summer of 2009 to celebrate the donation of a late 19th century icebox. The Friends of the Mark Twain House bought an icebox for the house, said publicist Steve Courtney. Courtney said Jacques Lamarre, the director of special projects at the museum, came up with the idea for an ice cream social to celebrate the new ice box. That first year, about 600 people showed up to enjoy ice cream provided by the UConn Dairy Bar. Four years later, the tradition is going strong. This year, the UConn Dairy Bar donated ice cream again, as well as the Main Street Creamery in Wethersfield, Shady Glen in Manchester, and the Tulmeadow Farm Store in West Simsbury. Flavors ranged from chocolate and vanilla to peanut butter chip and raspberry chocolate chip. 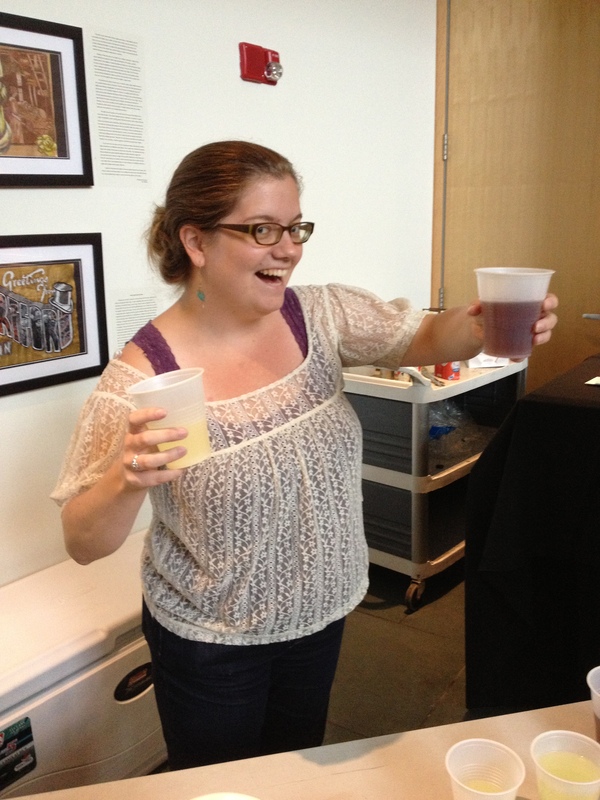 Julia Pistell of the Mark Twain House Communications Department showed great enthusiasm for the ice cream social. The event was free to the public, but the museum collected nearly $100 in voluntary donations. The collection was part of a friendly competition between The Mark Twain House in Hartford, Conn. and the Mark Twain Boyhood Home and Museum in Hannibal, Missouri. 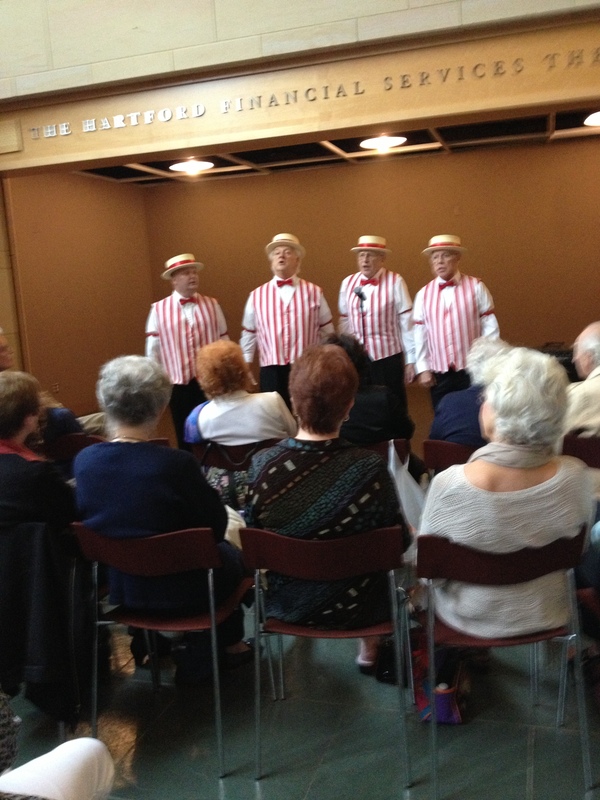 The Bandstand Barbershop Quartet of Manchester and the Ballet Theatre Company of West Hartford provided entertainment during the ice cream social. Twain’s daughter, Susy Clemens, wrote this play when she was 17. She and her sisters and her friends performed it for family and neighbors. In “Love Chase,” three sisters personify Art, Music, and Literature. They find a boy in the woods and, with the help of Cupid, chase him. 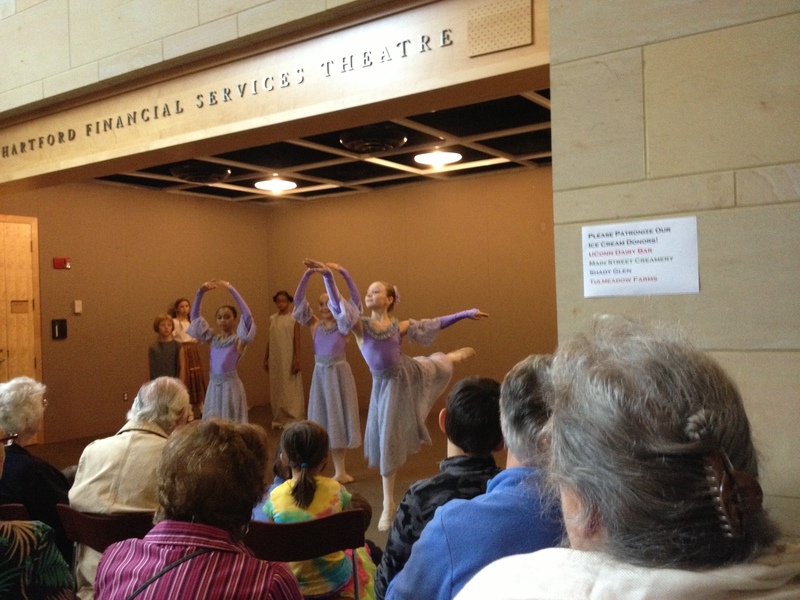 The quartet didn’t mind performing inside the museum instead of outside in the garden. “The acoustics are much better in here,” said tenor Michael D’Amore. The group, which has been together for 13 years and enjoys performing music of days gone by, has done several events at the Twain House. “There’s a lot of action here,” said D’Amore. Michael D’Amore, Lead, “BANDSTAND”. Thanks to you all again.